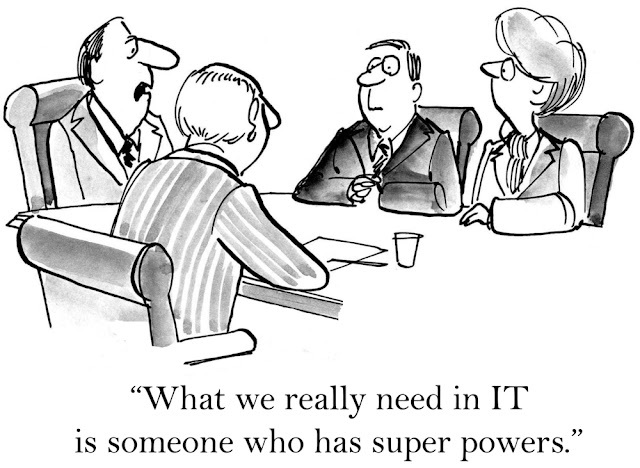 Blog @ Codonomics: What makes a bad CTO? We all have been through this, right? In my case I have been through this kind of conversations several times in my career working in product companies either as consultant or as an employee. A company grows, the product evolves and suddenly the crises happens. Atleast, that is what they say. The reality though is something different, as the company becomes successful, the company misses its priority, often giving step-motherly treatment to the very software product that is feeding them the millions of dollars. I have witnessed a lot of companies being run without a CTO hoping to magically solve their problems and it has only been a matter of time for them to hit a road-block that they are unable to surmount. CTO having the job attitude. One just cannot be a CTO and continue to demonstrate the job attitude. It always made me wonder how on earth he made it up there? How do you identify this job attitude? Simple, he/she doesn’t oppose his boss and always show agreement. When someone agrees to me for the 2nd time, I get scared and test the person to check if he would criticize me by deliberately making mistakes. When a CTO has lost touch with technical-chops. Tech is hard business. It changes like crazy. It pays well to know what is what, and in what context it plays well. A CTO is better off dirtying his hands with various tech tools and techniques, to be on the edge over his competition. When a CTO shuns to wear the business hat. If you have a CTO that doesn’t apply the techniques of a Lean-Startup, he sure is taking your company to the grave, sooner than you anticipate. When a CTO fancies Pop-Culture in tech-world. Any CTO that embraces a tech tool/language/framework because it is that hot market buzz-word, and not knowing why or how it is different/advantageous is a tell-tale sign of a CTO playing the game of “Sheep in Tigers clothing”. Lack of desire to upskill. A CTO may not know all the required skills you wish for, but should demonstrate the ability and desire to upskill to fill the gaps. If he does show reluctance, he ain’t the one you should onboard. Lack of diversity in tech experience. A CTO who isn’t a generalist in the tech-world should not be a CTO at the first place. How many ecosystems in the realm of business technology, is he comfortable with? Diversity and richness of tech-experience matters. Poor Communicator. A CTO should be a good communicator, mentor and coach. Not a people person. Oh, a CTO better be a good team player. Wanting to know more, do get in touch for consulting/advisory role you would want me to help you with. Having an exciting challenge and want me to come on board as CTO? Let’s talk and see where it leads us.